(c) Citrus IT Limited is the owner of the copyright for this website. The web server used by Citrus-it.net is located near the city of Nottingham, Great Britain and is run by Node4 Limited. The website Citrus-it.net has a own web server. The web server only runs this website. 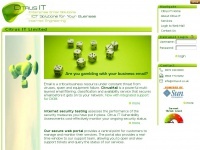 The websites of Citrus-it.net are served by a Nginx server. Both the inclusion of the website in search engines and follwoing of its hyperlinks is explicitly allowed.